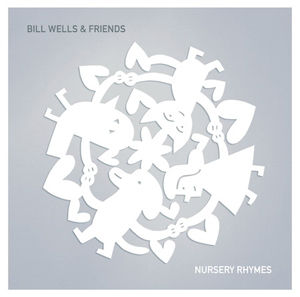 The internationally renowned Scottish composer Bill Wells compiles a mixtape to coincide with the release of Bill Wells & Friends’ ‘Nursery Rhymes’ – available via Karaoke Kalk. Wells picks a selection of artists and longtime friends and collaborators who feature on ‘Nursery Rhymes’ including: Yo La Tengo, Norman Blake (Teenage Fanclub), Isobel Campbell and Bridget St. John. This year, the ever-prolific Wells has also resumed the award-winning collaboration with former Arab Strap vocalist Aidan Moffat with the release of ‘The Most Important Place In The World’ via Scottish label Chemikal Underground (and follow-up to 2011’s ‘Everythings Getting Older’). 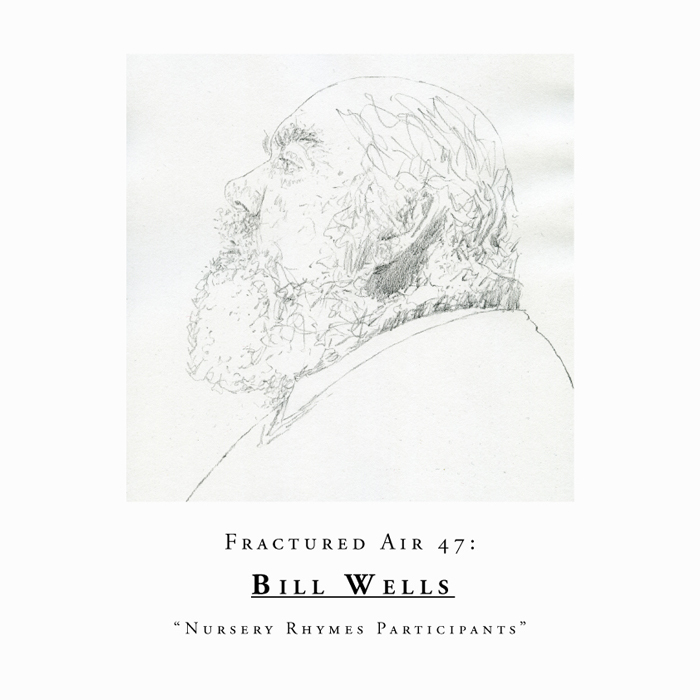 Bill Wells has collaborated with a myriad of artists over the years resulting in some of independent music’s finest treasures in recent times. These include ‘Fugue’ (the 2010 Immune release with Sweden’s Tape); works with Maher Shalal Hash Baz (‘Osaka Bridge’ and ‘Gok’) and the gorgeous jazz-infused ‘Lemondale’ (Double Six Recordings, 2011). Compiled by Bill Wells. The copyright in these recordings is the property of the individual artists and/or record labels. If you like the music, please support the artist by buying their records. ‘Nursery Rhymes’ is available now on Karaoke Kalk. Interview with Johan and Andreas Berthling (Tape). This year marks the highly anticipated new record from Sweden’s finest, Tape, who also celebrate their 14th year of activity, having released a plethora of stunningly beautiful electro-acoustic explorations these past two decades. 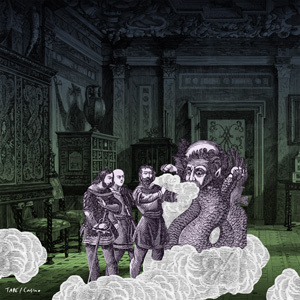 The trio’s sixth studio album is entitled ‘Casino’ which again reveals a band who defy categorization as the Berthling brothers (Johan and Andreas) and Tomas Hallonsten create utterly transcendent ambient infused folk pop odysseys of mesmerizing sounds with immaculate instrumentation of guitar, electronics, piano, percussion and field recordings. Each Tape record has become a reliable companion for the independent music collector as the band’s unique blend of experimental pop soundscapes ebb and flow gradually into the memories of the distant past and hopes and dreams of tomorrow. Tape are unquestionably a musician’s band. A band who holds a special place in the heart of the independent music community. I recall talking with Germany’s Nils Frahm one autumn evening in 2012, and the Swedish trio soon loomed into the spotlight. After being asked “what music are you listening to most lately?” – and extensive rummaging through his beloved vinyl collection – the tone rose with the exclamation of ‘Fugue’ by Tape & Bill Wells. A precious work of art that features the piano of Wells interwoven with the intricate musical patterns of Tape. A vinyl I would order the moment our phone conversation came to its end. The same sense of special discovery awaits with each and every new Tape release and ‘Casino’ is no exception. The album’s seven exquisite tracks contains beautifully constructed guitar-led melodies by Johan Berthling that are masterfully blended with Hallonsten’s scintillating piano patterns and Andreas Berthling’s distinctive modular synthesis and laptop wizardry. ‘Casino’s heart-warming sonic canvas awakens all your senses in one fleeting moment of rare beauty and graceful presence. The ambient flourishes of piano chords come to the foreground on ‘Alioth’ as textures of electronic glitches serve the ideal backdrop. ‘Repose’ is built on a returning motif of clean guitar tones that immediately feels familiar yet mysteriously unknown. Moments later, subtle touches of synthesizers swell beneath the gradual guitar cycles like ocean waves. An ethereal dimension is entered on the gentle ripples of ‘Goemen’ which builds continually throughout that feels a distant companion to 2011’s ‘Revelationes’. A brooding darkness envelops the surrounding space of drifting keys and synths. Added instrumentation of accordion is utilized on the album’s penultimate track, ‘Merak’ that conjures up the sound of a glowing moonlit sky on a summer’s night. The closing guitar-led melody of ‘Eagle Meows’ serves the fitting close to a stunningly beautiful work of true art. ‘Casino’ by Tape is available now on Häpna. 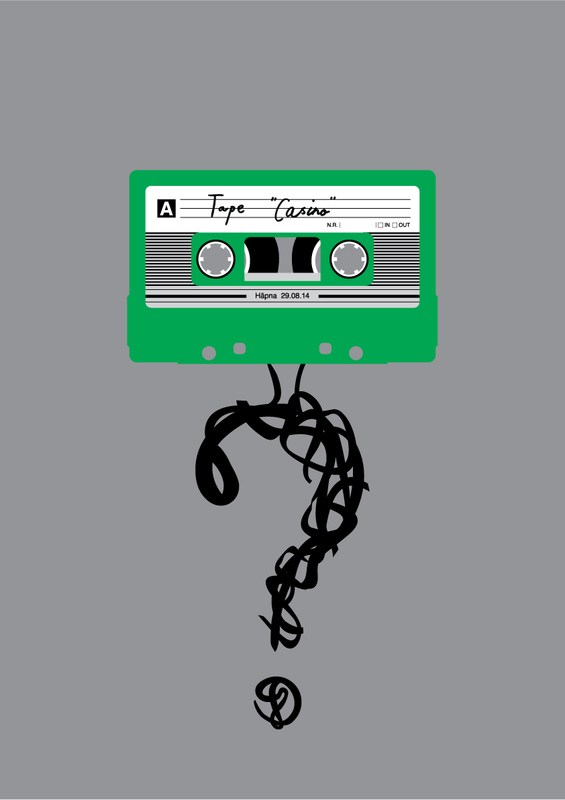 Tape are one of those rare treasures of independent music who have graced the stratosphere with a plethora of stunningly beautiful records, where each one possesses a unique charm and lo-fi warmth that permeates from the sonic layers. This all began in 2000 when you and your brother Andreas crossed paths with Tomas Hallonsten. Please take me back firstly, to your earliest musical memories with Andreas, and your family’s musical background that must have shaped you both growing up? Johan Berthling: There was music around a lot when we were small. Instruments were around at all times, which I think is a good thing to make children interested without forcing them to practice. On our fathers side there’s been a lot of musicians, our grandmother played organ in the church every Sunday and other relatives have played in orchestras etc. I started to study music fairly early on, Andreas took lessons too but wasn’t that keen at the time, his biggest interest was computers growing up. The first time we started playing together was when he moved to Stockholm and was in his early twenties. I have strong early memories listening to a lot of records on our parents hi-fi system. Swedish music as well as our mothers Beatles and Rolling Stones records. Was there a turning point when you both realized that making music was to be the path for you to explore? What were the instruments (I’m sure there was a wide array of musical instruments at home!) you learned to play first? Can you recount for me please first meeting Thomas, and indeed, the inception of Tape? It must have been a wonderful moment when the three of you formed this special trio. JB: I started to play the double bass at a quite young age, and always thought of having music as a career. I went to study at the Conservatory (but dropped out after two years), this was where I met Tomas. Andreas went to the Art Academy in Trondheim, Norway and had started making video art and computer music, when he left there and moved to Stockholm we got the idea to put together a band and we asked Tomas to join. We had a background in jazz, improvised music, electronic music and tried to fuse these influences together without knowing really how. We started out playing in 2000 and made some recording attempts we weren’t so happy with, but by 2002 we did the first recordings at our parents summer house and I think our sound came together there. We needed to get out of town and work in a more concentrated way. I think the surroundings there influenced us quite a bit, using field-recordings and found sound as part of the music. Like all great artists, the rich body of work lovingly bears your name. A divine blend of organic layers and digital warmth ceaselessly flows into the headspace that result in formidable mini-symphonies. I would love to learn about the creative process inherent in the construction of a Tape song? JB: When recording we often have some basic idea from one of us and just play around with that to find out what the others can add to it. We’re interested in sound and recording so that becomes an important part of a composition. We like to keep the music feeling spontaneous and not too cluttered so the process are often taking away stuff and just keep the really necessary bits. When the three of us play together this is what comes out and we cannot change it that much even if we try. Andreas Berthling: When I started using computers for generating sounds I was aiming for something that wasn’t the traditional sequenced dance music that’s generally what people do with laptops, I was interested in coding and found SuperCollider to be the language I preferred and created patches that used granulation and other methods of acoustically treating sampled material in a way that I thought was binding the digital and acoustic worlds together. Congratulations on the new album ‘Casino’ which is the highly anticipated follow-up to ‘Revelationes’. It feels a natural step on from the previous material where the organic quality of the music (where guitars are prominently in the forefront of the mix) permeates throughout. Funnily enough, I see the music as one large piece of music and each track represents its own distinct movement within ‘Casino’s marvelous symphony of sound. Please take me back to recording ‘Casino’ and the choice of using the Atlantis studio in Stockholm? In what way do you feel the band’s two-year hiatus had on the resultant sound of the new record? JB: This time we tried what we’ve been talking about for quite a long time, to try out the material live before recording it instead of vice-versa. We did a tour in November 2013 and went into the studio in December. We wanted the record to be done in shorter time than usual, both Luminarium and Revelationes we worked on for almost a year (of course spread out time), we wanted to make the album feel as a whole as much as possible. Both me and Tomas has worked a lot with Janne Hansson at his Atlantis studio with other groups and projects. It’s a fantastic place, an old cinema that’s been used a studio since the 60’s. The place has a fantastic atmosphere and Janne is just a fantastic engineer who really knows how to get the sounds right. All of the record is cut with all three of us playing at the same time, some overdubs made at Atlantis and some made at our own Summa studio which is a very small place. We made our two previous records there in full so it also felt very nice to get a change of scene. I think the pause we took had not such a great effect on the music, but at least I felt a strong longing for the group and wanted to start recording again. In terms of the instrumentation for ‘Casino’, was it usually the case that the guitar melody forms the song or does it vary? 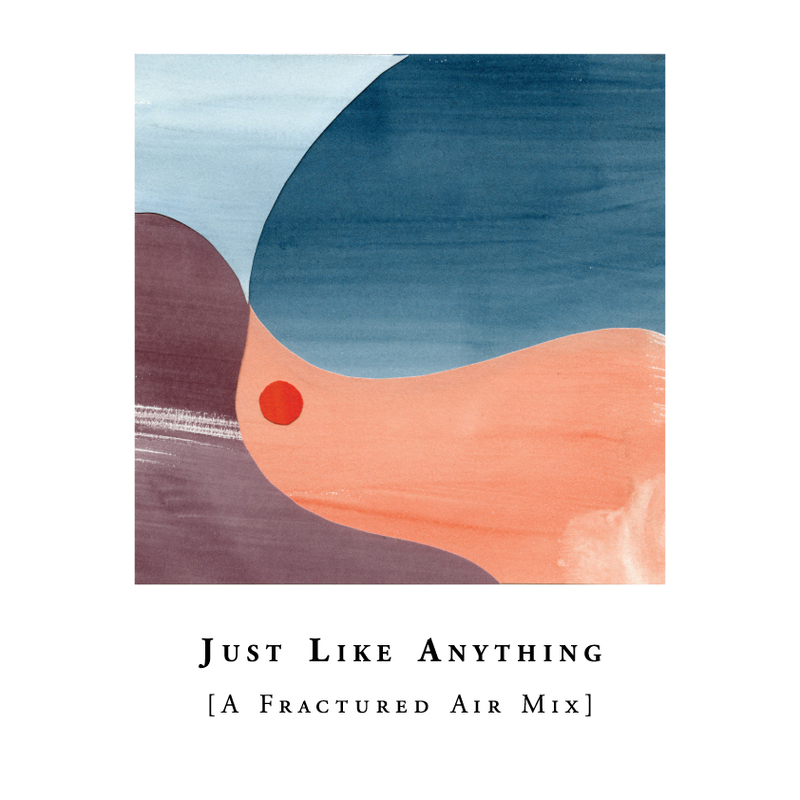 I love how there is this compelling experimentation with sound ongoing but at all times there is a gorgeous pop sensibility that shines forth. JB: Yes, the guitar playing often forms the basic structure for the songs but not always. All parts are equally important. It seems that’s what we’re always doing; straddling the fence between pop and more experimental music although we never think of it these days. The music just happens and we seem to know when it’s a music that’s us. My favourite song at the moment is the album’s penultimate track ‘Merak’. The added instrumentation of melodica brings new colours and textures to the divine sonic canvas. I also love the electronic wizardry that ebbs and flows beneath the guitar-led melody. What are your memories of writing and recording this particular piece of music? I wonder is the arrangement of songs the most labour-intensive part of the music-making process? When one listens to any Tape record, it feels like such an effortless process. JB: Thank you. It’s actually an accordion played beautifully by Tomas. There is certainly a bit of work put in the editing and mixing stage of making a Tape record. Less these days I think as we nowadays know what we’re after more clearly already when recording. Taking some things out, adding certain small stuff. This time we worked with our good friend Andreas Werliin ( Wildbirds & Peacedrums, Time is a Mountain, Fire!) on the mixing and he did a really great job creating this big sounding picture but still keeping it quite sparse. You have recorded in various locations for the various Tape albums, from a small stone barn on the first two records (‘Opera’ and ‘Mileu’) to your own Summa studio in Stockholm. I would love to gain an insight into these particular recording spaces and the set-up of the studio itself? The choice of recording space to record must have a big effect on the resulting sound you, in turn, create? AB: During the first two albums (‘Opera’ and ‘Mileu’) we only had a limited amount of equipment to record with, a laptop with a soundcard, two AKG mic’s and some smaller microphones, so we simply filled a van with musical instruments and took it to the house for a week on two separate occasions and the result are those two albums. The third album ‘Rideu’, was recorded in Cologne with Marcus Schmickler at his Piethopraxis studio and pretty soon after that we started to build Summa and filled it with all the gear and instruments we acquired over the years, it’s a mixture of old analog gear, a lot of tape-echos and a DAW system, we rarely use plug-ins (if ever) and spend quite a bit of time getting sounds right before hitting record. For me personally it was really great to record ‘Casino’ at Atlantis as I mostly end up turning and twisting all the knobs at Summa. There’s no computer generating any sounds on ‘Casino’ as I now only use a modular synthesizer, so I basically have a lot more knobs to twist now! JB: The choice of recording environment influence the music a lot. As said earlier, the choice of recording at a bigger studio gave us a little more possibilities soundwise. We also got the feeling to keep the music more sparse than on the previous albums as soon as we started recording. We felt that the sounds could hold its own even more than before. A vinyl I hold dear is ‘Fugue’, the collaboration between Tape and Bill Wells. It’s a match made in heaven. How did this collaboration come to light? Were the pieces of music written prior to the recording process? I love how the four songs coalesce together, forming one sublime, cohesive whole. Bill Wells has collaborated with many interesting artists producing many great records but ‘Fugue’ for me is the most resonating. JB: We knew Bill from some of his recordings on Geographic, I think we met personally the first time through our friend Stephen Pastel from the group the Pastels, who’s also running the great record store Monorail in Glasgow. Bill invited us to play the Triptych Festival in Scotland, 3 gigs in different cities with him. We did a session in Glasgow, but the tracks on the album were recorded during a couple of days in our studio in Stockholm. To me his way of playing really simple but strong stuff really influenced the music. We had some sketches beforehand but most of it just came together there and then, based on that we played shows together both in Scotland and Sweden. I think what came out was really a something third, something not sounding exactly as Tape nor Bills music. You also co-run the prestigious Häpna label. The likes of Hans Appelqvist, Musette, Tape, Sagor & Swing among many others have been responsible for such illuminating works of art. It must be a real privilege to champion such unique artists. How did running a label come about for you? Looking into the future, what releases can we expect for 2014/2015? JB: We (co-runner Klas Augustsson and me) has been going since 1999 and a lot has changed during those years. Lack of time might be the biggest change, and also of course the whole music scene has changed (even for a miniature label as Häpna). It’s harder and we also see quite a lack of interest from press to cover what we release, but what has kept us going is that we are lucky working with some great artists as the ones you mention. We’ve chosen to work more closely with just a few rather than releasing as much as we did in the earlier years. Me and Klas has been friends since age 15 or so and we had a band together. The label came out of late-night listening sessions, around that time it felt like starting a record label wasn’t impossible. We got influenced by the many small foreign labels releasing experimental music around that time. The labels output has followed the expansion of our musical tastes, starting out with field-recordings and improvised music and then onward. We chose from the start just to release stuff we really liked and at the time there were few labels covering what we did in Sweden, so it felt that there was a gap to fill. We also started doing a couple of festivals and also curating small live events in Stockholm, something that we still do from time to time. Lastly, I would love to know what records you have been listening to the most this past year? JB: I listen to a lot of Brazilian music; Evinha, Marcos Valle, Arthur Verocai, Ethiopian; Getachew Mekuria, Tsege Mariam Gebru and so at home. Lots of Free Jazz of course; Don Cherry, Ornette Coleman. Also some artists that I come back to all the time like Talk Talk, Microstoria, Morton Feldman. AB: There’s a lot of Brazilian music for me too, currently spinning Orlandivo and Chico Buarque but also a lot of Kraut like Harmonia, Cluster, Michael Rother and La Düsseldorf.